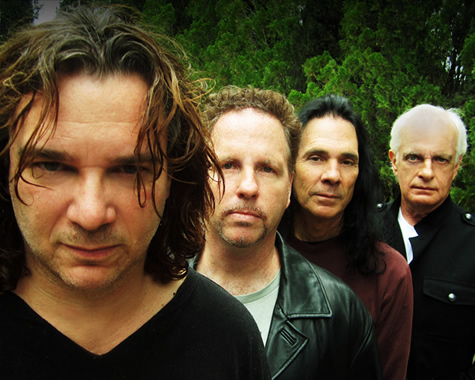 CIRCA is a progressive rock supergroup, founded by Billy Sherwood and Tony Kaye in 2007. Both are former members of YES. Also in the original lineup was YES drummer Alan White and guitarist Jimmy Haun. The current lineup consists of members Rick Tierney (bass) and Scott Connor (drums), after Alan White left the band to focus solely on YES. Billy Sherwood has a long, eventful history in the progressive rock community. His band WORLD TRADE recorded their debut album in 1989 and was met with great critical acclaim and eventually led to Sherwood playing in YES and even mixing, producing and playing on YES recordings. He released an album titled “Conspiracy” in 2003 with YES bassist Chris Squire, and has continued his musical journey by being part of various projects which have kept him in the forefront of the progressive community. Tony Kaye, is the original keyboardist for YES (1968-1971). He has also been in the popular groups Badger, Badfinger and Detective. His keyboard style is unique and is the voice of many unforgettable recordings over the years. He was part of the 90125 YES tour in 1985 and is on the 9012Live Album which consequently had a video that was nominated for a Grammy. The band has released 4 albums since 2007 , and now there is this roaring LIVE album.